Advocacy Day in Trenton, NJ–South Asian Style! 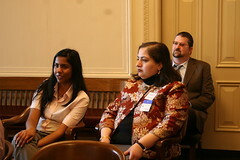 Poonam Patel, an intern at SAALT was in attendance for South Asian Advocacy Day in Trenton, NJ on March 16th. She shares her experience below. 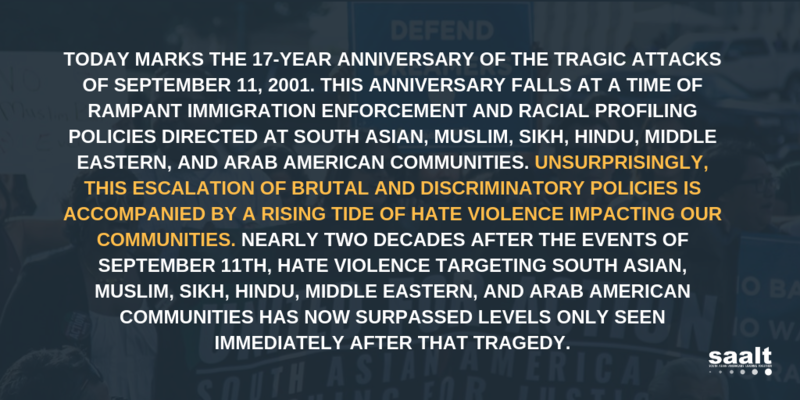 If you want to read more about the South Asian Advocacy Day, check out this great blog post by Sonny Singh at the Sikh Coalition blog! On Monday, March 16th, I had the opportunity to attend the first South Asian Advocacy Day in Trenton, New Jersey–an inspiring experience, to say the least. Growing up in a traditional Indian family with the stigma that speaking to elected officials at any level is fruitless, it was reassuring to see legislators not only responsive to the issues discussed but also willing to take action—research new means of solving fundamental problems whether that involved supporting existing legislation or introducing new ideas. One of the advocates talked about a project their organization had developed—grading public schools in a report card format based on their cultural competency. The legislator that was presented with this idea not only agreed that it was a very effective way of creating awareness, but also asked for specific details so that the program could potentially be implemented in her district. While I was listening to this exchange take place, it became clear that innovative projects developed by experts in their own fields combined with the government resources can truly have an affect on the community at large. Furthermore, to see so many community members, advocates, and students collectively discuss the issues most relevant to the South Asian community shed light to the fact that they cross boundaries of all sorts–gender, age, and national origin to name a few. Even though the South Asian community is so diverse in a number of ways, there are several issues we can all relate to such as developing comprehensive immigration reform or creating cultural competent resources for community members. This is what was at the heart of Trenton Advocacy Day. It wasn’t about each individual advocating something unique, but a strong, collective voice that caught the ears of state legislators.